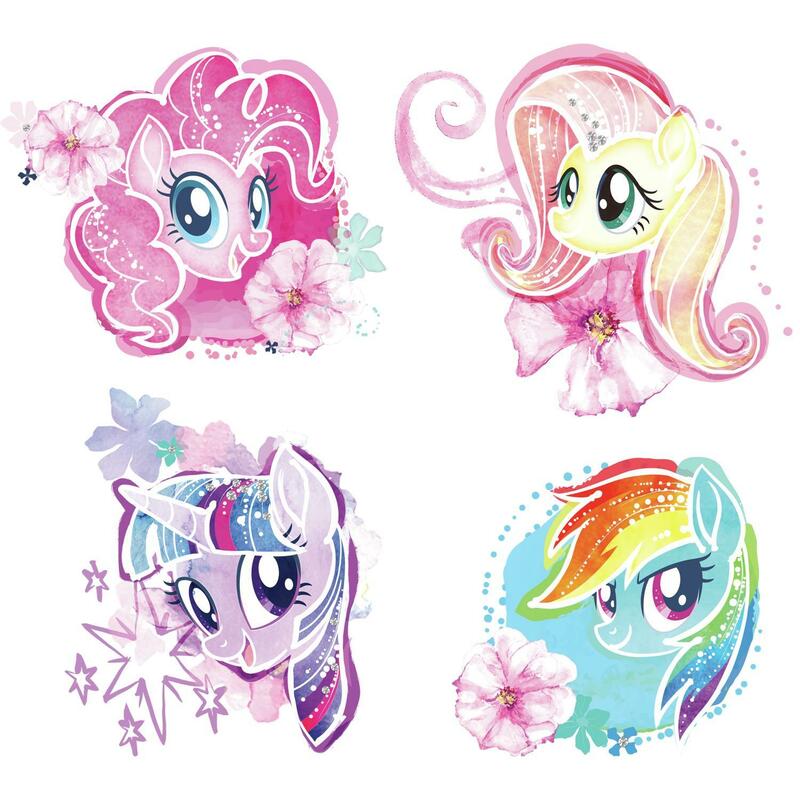 Fluttershy, Twilight Sparkle, Pinkie Pie and Rainbow Dash liven up your space with My Little Pony the Movie Watercolor Peel and Stick Wall Decals. 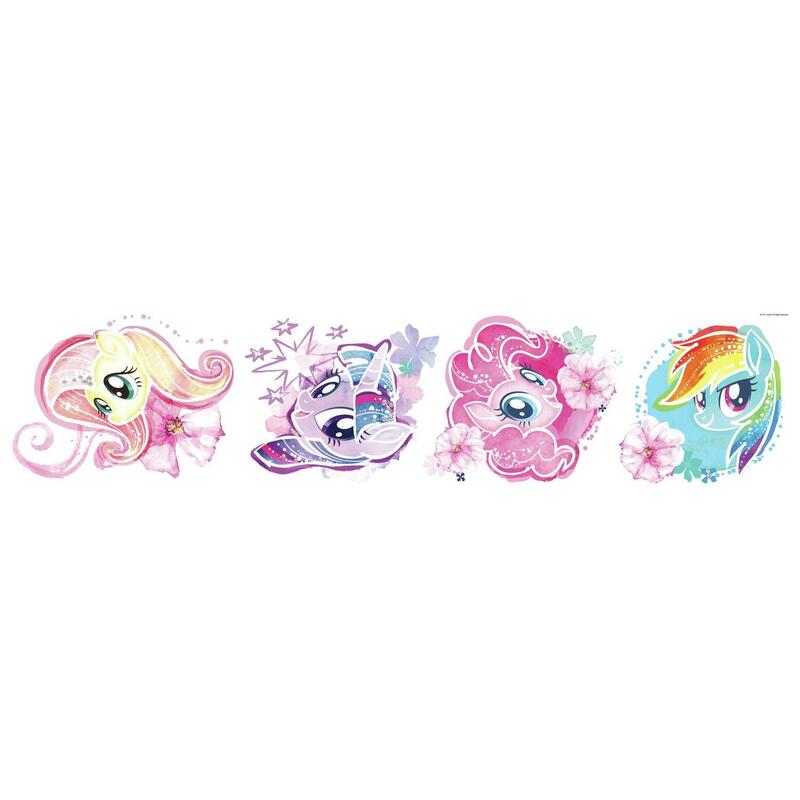 The ponies from Equestria give your space a dose of fun and friendship with four peel and stick wall decals. With watercolor detail and lovely florals, apply decals to any smooth surface without fear of damaging walls. Decals are removable, repositionable and reusable, so they don’t remove paint or leave behind a sticky residue. Printed on high-quality vinyl, add personality and color in an instant. 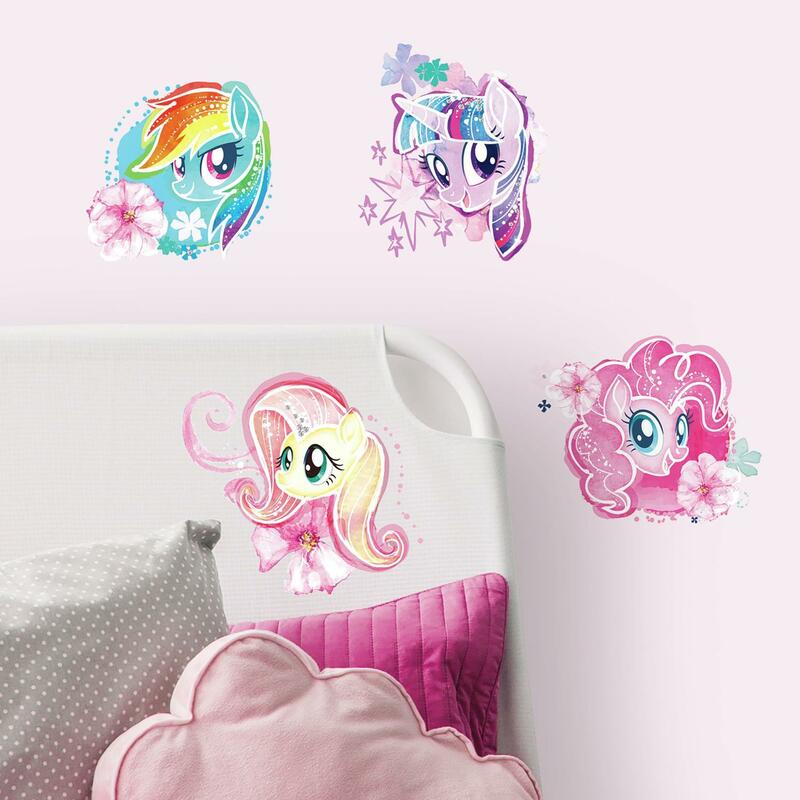 Decals are printed on clear material therefore white or light-colored walls are recommended for best results.